We will begin the roll-out of new teams by choosing from the list below three or four teams to start with. The names listed to the right of each team above is the team sponsor. The sponsor’s role is to help provide a framework for the team and the resources needed to ensure the teams success, but the sponsor is not the team leader. a brief outline of the projects/activities/services you think the team should pursue. you may also nominate others for membership and leadership of a team. please make your interest known by Friday February 20th. please note: in some cases, we may ask people to join a team who haven’t volunteered! We’ll announce the first round of teams, team leaders, and team members shortly thereafter. We’ll post more detailed information — including expectations for team members, team leaders, and team sponosors — soon on the LISt blogspace. As part of this initiative, we will be developing a series of trainings that will allow staff impacted by this to learn more about managing work through teams. This includes training on the definitions of roles on teams, communication strategies, project management techniques, and conflict resolution. As this progresses, we will keep everyone informed about these professional development opportuntities. This entry was posted in LIS Staff Interest and tagged Feb 6 09, LIS, LIS Administration on February 6, 2009 by Doreen Bernier. Beginning this Spring term the Helpdesk will be testing a new licensing management product called KeyServer. This product allows Middlebury College to provide software licenses for applications in a much more efficient way than we are today. KeyServer is a tool for managing software licenses over the network. Why is it being implemented at Middlebury College? KeyServer will help us make better informed decisions regarding software license purchasing and allow us to invest in more site/concurrent-use licenses instead of individual licenses. This will give more of our users access to certain software and save the college money by sharing the licenses and purchasing only what is needed to support concurrent users. Do other colleges and universities use KeyServer? How are we implementing KeyServer? We are testing KeyServer on some of the helpdesk computers and a few labs. The next step will be installing KeyServer in Axinn computing labs and the Wilson Media lab. When that pilot program has been running successfully for a semester, we will implement KeyServer in the rest of our computing labs. Finally, all college-owned computers used by faculty and staff will use this product. How will this project impact faculty, staff and students? KeyServer installs a program on each individual computer. This product will have very minimal impact on users and the network. We will be providing documentation to assist with the use of KeyServer. People who use software while travelling will be able to access software licenses through KeyServer. We are currently in the process of completing a FAQ document which addresses questions and concerns. As we move forward, your input into this process will be helpful. Any feedback can be directed to Lisa Terrier at terrier@middlebury.edu. This entry was posted in LIS Staff Interest and tagged Feb 6 09, Helpdesk, User Services on February 6, 2009 by Doreen Bernier. The Schools Abroad directors expressed interest in using the AlertFind emergency notification system at their schools. Liz Ross, associate director of Off-Campus Study, and I conducted two tests this winter with the directors and will train them as team administrators for their individual schools this summer. This entry was posted in LIS Staff Interest and tagged Enterprise Applications, Feb 6 09, Schools Abroad on February 6, 2009 by Margaret Fischel. With the recent announcement from the CFO that most College-owned cell phones must revert to personal service due to IRS requirements, Ginnie Bukowski kicked into high gear. She convened a well-attended Q&A meeting with affected parties who have Verizon Wireless service and is now consulting with small groups and individuals to help them through the process. LIS will continue to maintain the BlackBerry Enterprise Server and add users who require Outlook e-mail and calendaring service for business purposes. The new cell policy was devised by the Controller’s Office with input from Telephone Services. Even if you are not entitiled to a College allowance, employees can get discounted service from Verizon Wireless. If other carriers offer discounts, we will add that information in the future. This entry was posted in LIS Staff Interest and tagged Enterprise Applications, Feb 6 09 on February 6, 2009 by Margaret Fischel. The conference day will feature a mixture of hands-on workshops and interactive sessions, a plenary presentation, and networking opportunities. The Program Committee invites proposals that reflect the best in research and practice of college teaching in New England. Submissions may address all areas of teaching and learning that use technology. Using technology to engage students of different backgrounds with peers, staff, and faculty. Hands-on Workshops (120 minutes): Computer lab-based interactive sessions that encourage participant involvement through hands-on use of a technology. These sessions will be scheduled in a computer lab. Interactive discussions (60 minutes): Interactive sessions that present new ideas about using technology in an academic environment and discuss the benefits and drawbacks of those systems. These sessions will be scheduled in a classroom. Conference attendees overwhelmingly prefer presentations that give them at least one concrete, practical “take-away” idea to implement at their home campuses. If your presentation concerns a particular program or experience, please articulate how it might be transferable to other contexts and institutional types. 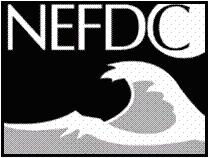 Please refer to www.nefdc.org to review important submission guidelines and to submit your proposal online. Submission deadline is February 15, 2009; notification of acceptance will be sent out the week of February 26, 2009. This entry was posted in LIS Staff Interest and tagged conferences, Feb 6 09 on February 6, 2009 by Doreen Bernier. Shawn O’Neill and his daughters traveled to DC for the Presidential Inauguration and contributed to a blog for WPTZ. To read about his experience, here is a link to that blog. This entry was posted in LIS Staff Interest and tagged Feb 6 09, President Obama on February 6, 2009 by Doreen Bernier. As most of you already know, we in LIS went through a goal setting exercise this fall, and established an ambitious set of goals for this academic year. As a way to make sure that these goals don’t just sit on a shelf gathering dust, we are building a regular review of our goals into our weekly AD meetings. Each AD has been assigned a set of goals to keep track of, and will provide an update to the group on the status of the goals (what’s making good progress; what’s done; what’s stuck, and why). For each goal, we’ve named a contact person. If you are that contact person, you can expect to be contacted three times between now and June to provide an update on your goals. All of this information will soon live on the web, so that anyone in LIS (or the world, for that matter) can track the progress we are making towards achieving our goals. (We’ll post the link soon!) While we recognize that this work of setting and tracking goals can be burdensome, we also believe that the way for us to make progress towards improving our efficiency, rolling out new services, and assessing our work is by being quite explicit about this sort of goal setting work. We intend to do this on an annual basis, starting in June of this year. As always, any thoughts you have about how to do this in the simplest and least burdensome manner possible are welcome. This entry was posted in LIS Staff Interest and tagged Feb 6 09, LIS Administration on February 6, 2009 by Doreen Bernier.